New Zealand Car Rental Cheap And Good – Wendekreisen Car Rentals. 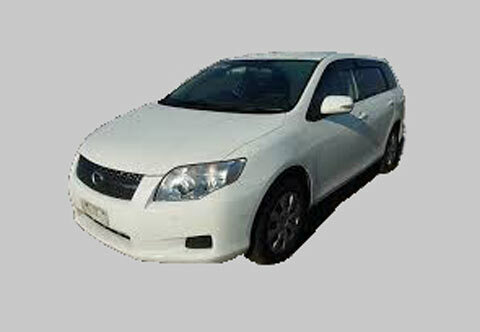 Wendekreisen has recently changed its rental car fleet and now offers the 2007 model Toyota Fielder Stationwagon only. These vehicles offer an economical 1500cc engine, whilst providing plenty of luggage storage and legroom for up to 5 adults. Please note that we also offer a camping kit option with our rental cars. The camping kit includes a picnic set, a small cooker, sleeping bags and a tent. The total cost of the camping kit is NZ$150 per hire. If you intend to sleep in one of our stationwagons, we highly recommend to take the camping kit. If your budget allows you to upgrade your vehicle a little further, then you may want to consider the Stationwagon + Rooftent. The hire rate on all models includes unlimited kilometres, airport transfers, taxes, credit card fees, one-way hires between Auckland and Christchurch and our 24 hour freephone on-road assistance. We specialise in offering great value for money across the range with no hidden costs.